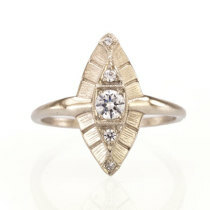 A series of rings inspired by the Art Deco Movement and the Roaring 20’s. 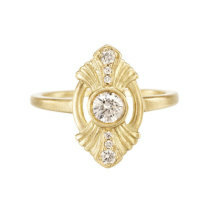 Hand carved in wax and cast in recycled 18k yellow, white and rose gold. 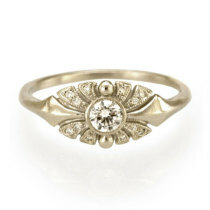 Each Deco Ring is individually finished and hand set with responsibly sourced, high quality VS white diamonds. 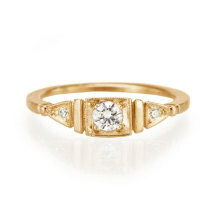 Future heirlooms perfect for engagement or statement rings, stackable with wedding bands or multiple rings.